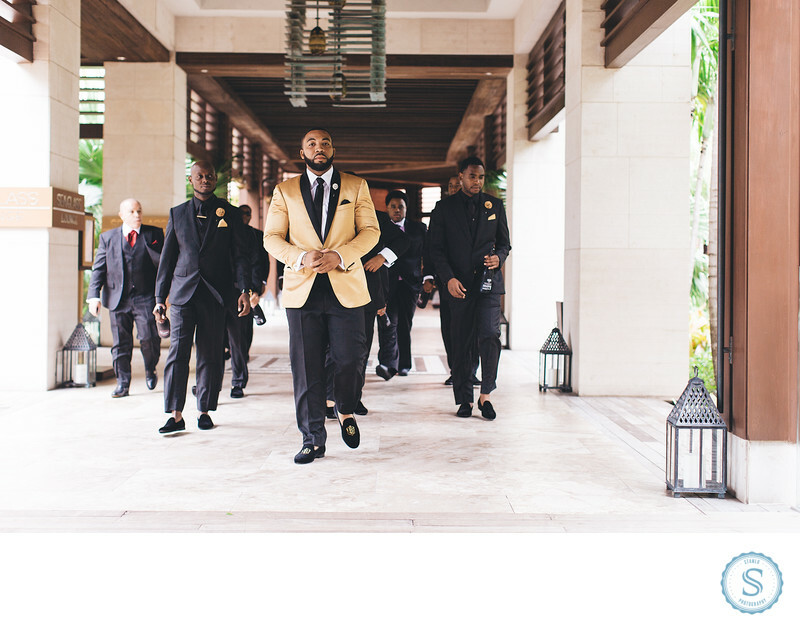 Bahamas Wedding Atlantis Resort with the dapper groomsmen. Were just lovely the gold tuxedo such a elegant unique choice for a wedding. Filename: Bahamas Wedding Atlantis Resort.jpg. 1/320; f/2.5; ISO 400; 50.0 mm.